The American firm Zynga known for developing social games like FarmVille and CityVille is launching its own gaming services instead of largely depending upon other companies for their earnings and revenues. Now people will have no more look at Facebook, Google+ and Myspace to enjoy the games. Zynga earns its revenue through advertising and sale of virtual items like tools paid for with real cash. Most of the company's games are on Facebook, for which it gets about 30% commissions on each sale. Having more than 200 million active monthly users 95% of earning of Zynga comes from Facebook. It is publisher of top five games on social media. It could have a rapid impact upon credibility of Facebook is as gaming platform and can begin a significant shift in social gaming. The shift now can be on towards the mobile platforms. According to Zynga, it has re-designed website that would be launched later this month. Ne w new avatar the gaming would be provided along with live chatting and message boards features. The top five games on newZynga.com include CastleVille, CityVille and Words with Friends. However, users will have to log onto with their Facebook IDs and sales from virtual goods in games like houses, coffee or other items, that would be traded by using Facebook Credits, the social website's payment system. Manuel Bronstein, general manager of Zynga.com, said the new website was not intended to move users away from Facebook. 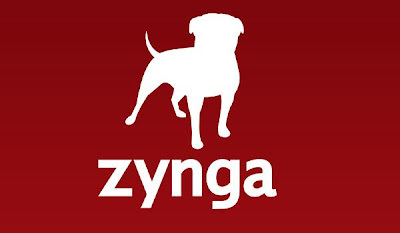 "It will help users keep their Facebook profiles separate from their gaming habits while bringing Zynga closer to users," he told. Zynga's new website will also host games from other companies including games like Row Sham Bow and MobScience.